Cutters isn’t just a cigar shop: it’s a place where great times are had and friendships are made. Featuring a gorgeous 4,000 square-foot state-of-the-art ventilated indoor area plus a large outdoor patio! 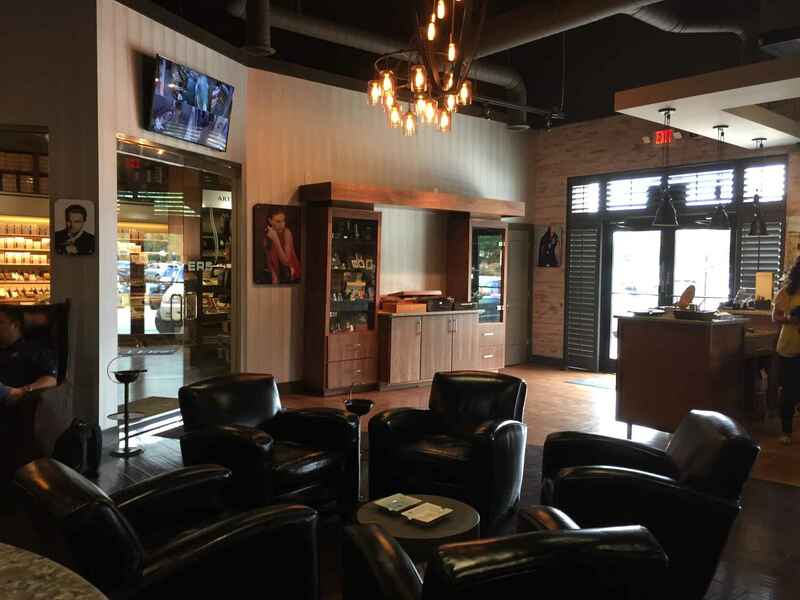 Cutters Cigar & Spirits is a warm and inviting place, where you can enjoy some of the world’s best cigars, listen to live music, get some work done, and meet friends you didn’t know you had. 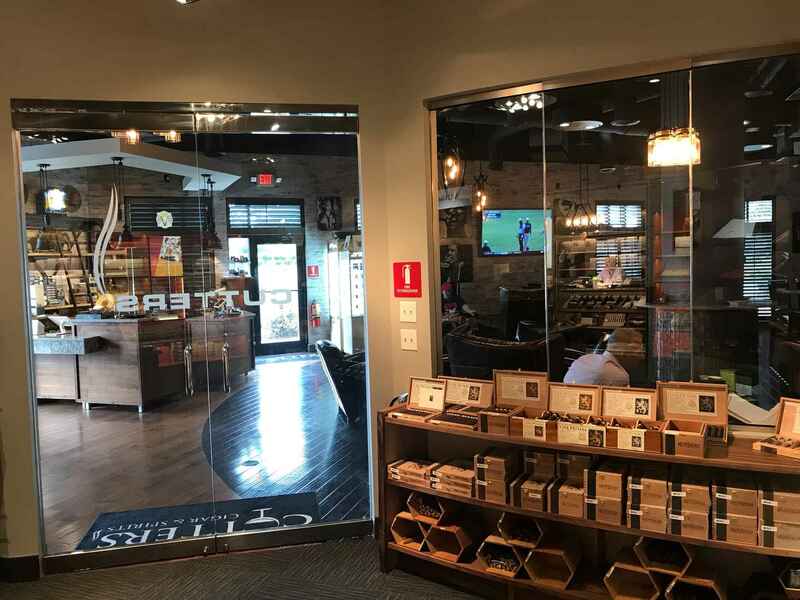 If you’re in the mood for a particular cigar, or not quite sure what you’re looking for, our team at Cutters Cigar & Spirits will gladly lend their expertise. 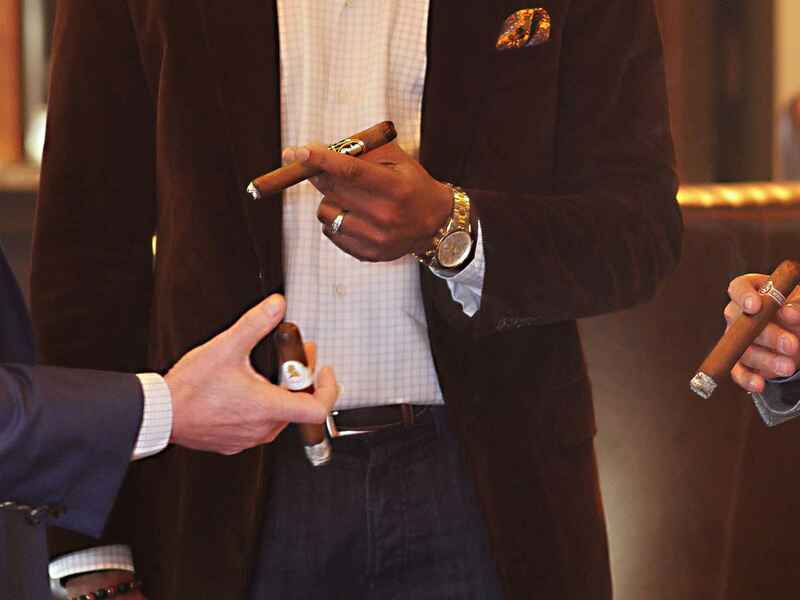 They are more than happy to guide you through Atlanta’s largest humidor and help you find the perfect cigar. And if you’re looking to pair that perfect cigar with the perfect drink, we present you with a full bar with all of your favorites. We put a lot of thought into our lounge, to surround our customers with a relaxing atmosphere: enjoy comfortable seating, elegant decor, and a state-of-the-art ventilation system. 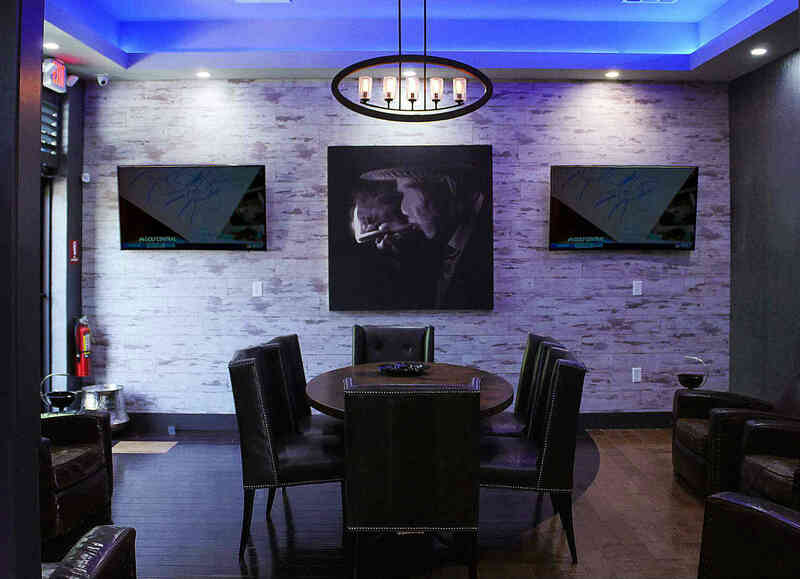 Our lounge is over 4,000 square feet; plus our outdoor smoking experience is the best way to enjoy an Atlanta evening; and our private club room is available for your next celebration. In addition to being an inviting place to unwind, many of our customers see Cutters as a great place to do business outside of the office. A chance meeting at Cutters could help grow your professional network, or it may be the beginning of a new collaboration. Reserve our Club Room for your next off-site meeting; treat your out-of-town clients to a fun and unique experience; or if you are the out-of-towner, stop by Cutters after your work day is done. Your evenings in North Atlanta just got a lot more exciting: Cutters Cigar & Spirits brings in top performers and a variety of musical genres. 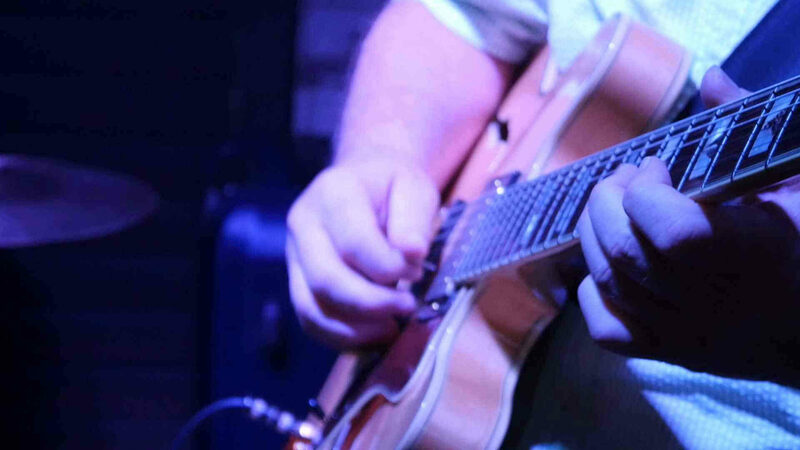 We have live jazz every Thursday, acoustic performers every Friday, and much more. 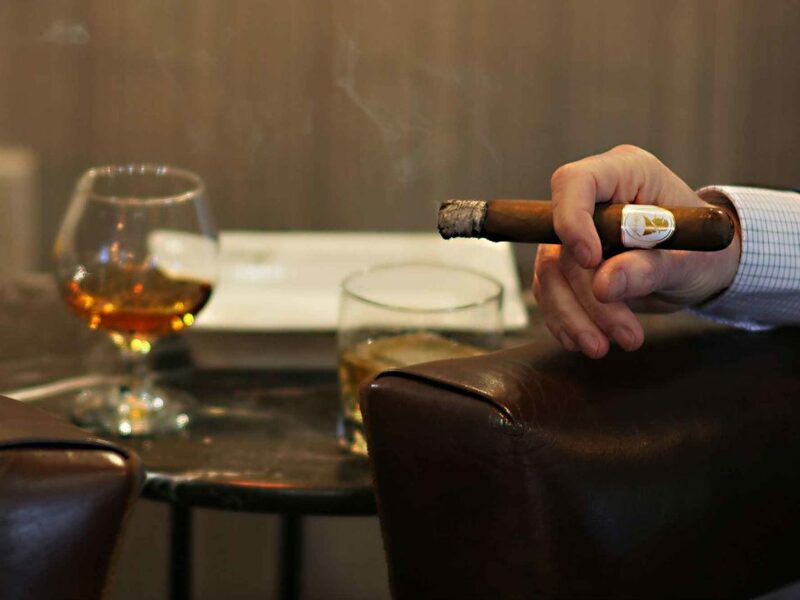 There’s something for everybody at Cutters: nothing goes better with a great show than a fine cigar and your favorite drink. We’re always looking to bring talented and innovative artists to our stage, and we are certain you’ll come back again, and again! There’s no better place to watch the best college and pro football games than Cutters! During the season, we will have 7 HD TVs for College Game Day on Saturdays, and on Sundays we will have all of the biggest NFL Games.